Lauer: Do you really think we can win this war on terror in the next four years? 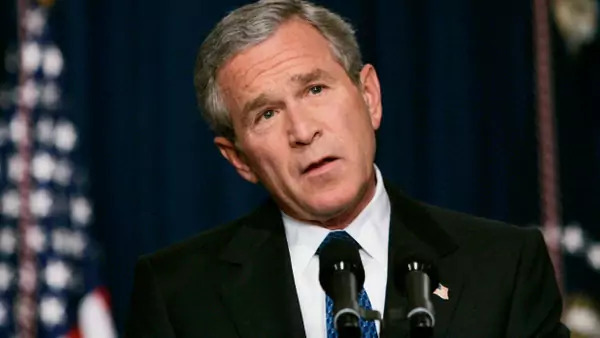 Bush: I have never said we can win it in four years. Lauer: So I’m just saying, can we win it? Do you see that? Bush: I don’t think you can win it. But I think you can create conditions so that those who use terror as a tool are less acceptable in parts of the world—let’s put it that way. The President’s recognition, said during the height of the presidential campaign, was immediately denounced by Sen. John Kerry’s campaign, which released mildly humorous statements: “Bush Flip-Flops on Winning the War on Terror" and "Bush: Against Winning the War on Terror Before He Was for It." Kerry’s running mate, John Edwards, proclaimed, "Saying we can’t win one day and flipping around the next day sends exactly the wrong message to the American people, to the world--and most importantly--to the terrorists who seek to harm us." This brief moment of clarity and honesty made eleven years ago is almost quaint in comparison to how Obama administration officials now describe progress in the war on terrorism. They no longer pretend the war can be won, or that it will even end. The expansion and growth of terrorist organizations that the United States claims it will destroy, and state of perpetual warfare are just something that Americans should accept and get used to. As CIA Director John Brennan noted this April, “It’s been a war that has been in existence for millennia…So this is going to be something, I think, that we’re always going to have to be vigilant about.” In short, the war on terror has always been with us, and it always will be. I have a new piece in Foreign Policy that proposes a The National Commission on the War on Terrorism, which would consist of ten former officials, diplomats, and experts—with no personal or financial interest in the outcome—who would comprehensively review, evaluate, and offer new policy recommendations. Such commissions are rarely meaningful or impactful. However, current government officials and congressional members are too personally and professionally vested to objectively evaluate current strategies, demonstrate strategic learning, or implement any new policies. In short, U.S. counterterrorism strategy is both failing and frozen. The National Commission on the War on Terrorism would cost less than $4 million, and could be included in an authorization bill today. It would then be formed in the fall, with its conclusions and recommendations made publicly available in January 2017, just in time to inform Obama’s successor and the 115th Congress. It is a low-cost initiative to rethink the war on terrorism, and one that this Congress should pursue.